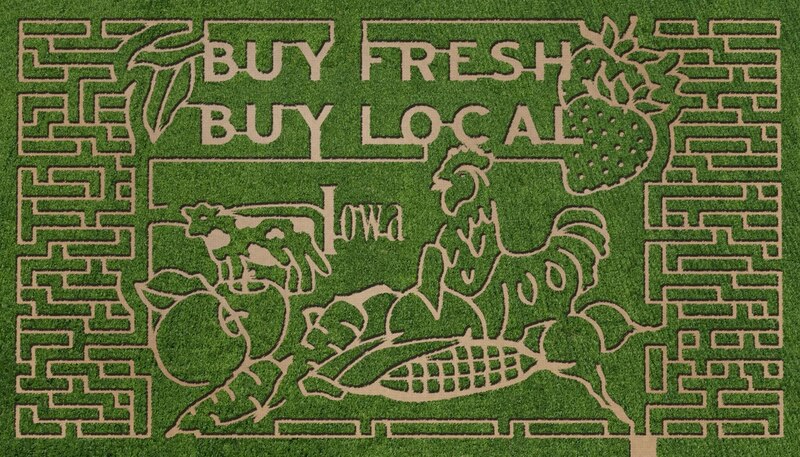 SustainableWork: Thank you beautiful Iowa! Multi-state economic development without permission. Thank you beautiful Iowa! Multi-state economic development without permission. It was a great pleasure to meet with the Iowa RC&D folks in Ankeny this week. Thanks for the invitation! Our friend Bill Menner, Iowa State Director, USDA Rural Development was able to join the discussion. Thanks to Bill and all my new friends across Iowa. Iowa is such a beautiful, diverse state. It's a great place with wonderful people. I came to talk about networked food processing kitchens across a multi-state region. As we discussed at our USDA meeting at the Innovation Kitchen last week, this project is doing multi-state economic development without permission. Action is needed now. My presentation was about the Innovation Kitchen model and a plan for creating a network of independent, collaborating food processing facilities connected to community development goals. The idea is to replicate promising models. We are now starting talks for expanding our initial 4 facility network of collaborating food facilities into the next 10, across Wisconsin, Iowa, Illinois and Minnesota. Throughout this, we can be linking into the Great Lakes Food Hub Network (Hubbas). In Iowa, the first network partner should be in their beautiful Northeast. Our group is planning next steps with our friend Teresa and her network of friends there. We have a good meeting set up to discuss this idea with friends in Bloomington/Normal, Illinois on Tuesday. New economic development collaborations are already underway across state borders. No one ever asked permission. Just perfect. Thank you for a great meeting, Iowa RC&D friends! 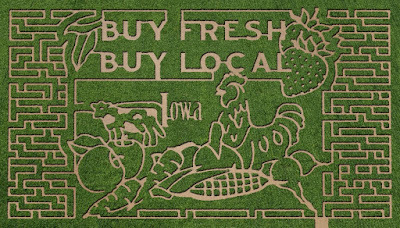 The corn maze image above is being cut in this week (Go Adam!) at Kathy's Pumpkin Patch in Donnellson, IA. USDA Iowa Rural Development. Thanks Bill!